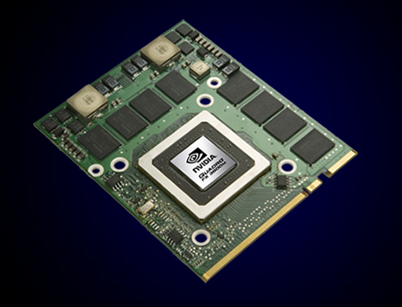 The NVIDIA Quadro FX 3600M is a professional graphics card for CAD, DCC and other modeling applications based upon the 8800M GTX consumer card (G92 architecture). It was a high-end card at the time of announcement. Certified drivers grant error-free and faster performance in professional applications. The FX 3600M was later succeeded by the more efficient 55nm FX 2800M and FX 3800M, both of which still utilize the G92 architecture. The most important aspect of the Quadro FX 3600M is its use "Unified Shaders". There no longer exist any dedicated pixel or vertex shaders. Instead, the FX 3600M uses 64 so-called stream processors to handle most of the graphics work previously processed by pixel and vertex shaders. Furthermore, the shader units are clocked higher than the GPU core (1250 MHz). The performance of the FX 3600M shoul be higher than the 1600M due to the 256 bit wide memory bus and the high number of Unified Shaders. According to Nvidia, the GPU is best suited for modelling large 3D scenes and complex models.